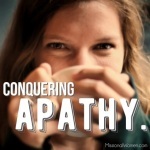 There is nothing Satan hates more than women on mission – Christ’s mission. But the more ministry fat you have, the more places Satan has to feed, engendering discouragement and distraction in the body. Keeping your ministry “trim” is a good organizational principle for a healthier women’s ministry, and it’s a smart way to starve Satan out. 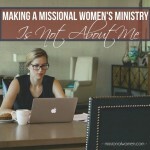 I’m continuing my series: Making Women’s Ministries Missional over at Missional Women. Recently, I shared these three ideas for keeping your women’s ministry discipleship-focused. Click to view full article. 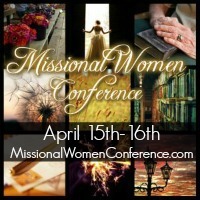 Also, I’m speaking at the Missional Women Conference this year on creating a discipleship strategy for unchurched women. I hope you’ll join me! Click on the button below or click here to register.